Natural Health on Greenwood Inc. The Men of Valor Ministry of the historic Mount Zion Baptist Church, 419 North Elgin Avenue, Tulsa will host its first Men’s Health Fair for all men 18 years and older. 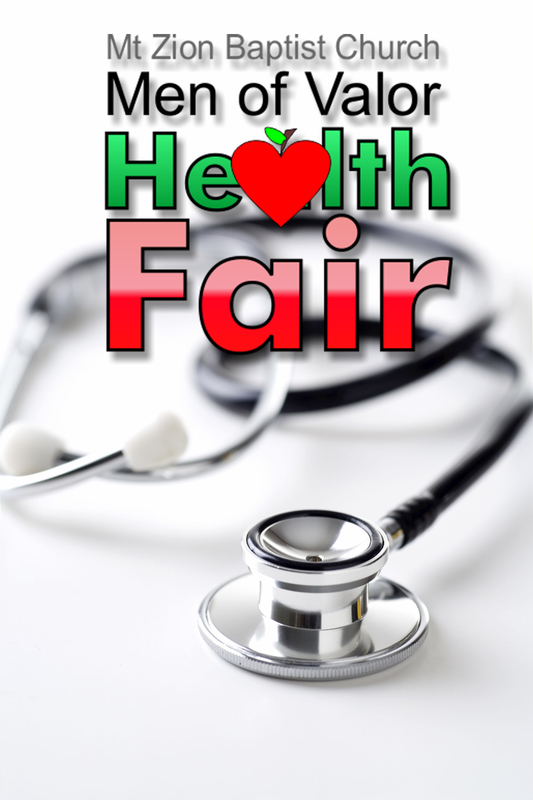 The Health Fair will be held on Saturday, April 25, 2015 in the G. Calvin McCutchen Family Life Center starting at 9 am and ending at 12 noon. Special presentations will be made by Aaron Kanwhen of Bethel Pharmacy, Patricia Breeckner of Natural Health on Greenwood, Inc., Cory Love of Tobacco Free Coalition, Rosaline Cupples of the Tulsa Health Department, Sharonda Dennard of Hillcrest Healthcare Services, Paul Brown of Susan G. Komen Tulsa and Byron Maynard and Peggy Hutcherson of Universoul Health Ministry. Also present will be State Farm Insurance, and Morton Comprehensive Health Services. Special thanks to Arvest Bank, Trabar & Associates and Marcenia Cole for in kind services. This event is free and open to all men. The Men of Valor Ministry is designed for the men of the church both young and old. The ministry meets for fellowship and bible study on the 2nd & 4th Tuesday of each month at 7pm. 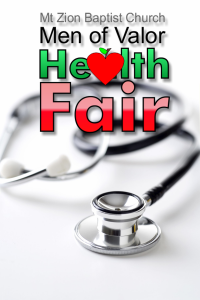 Don Thompson is the Health Fair Coordinator, Anthony James is the president of the Men of Valor Ministry and Dr. Leroy M. Cole is senior pastor of Mount Zion Baptist Church.